Edraw integrates seamlessly with PowerPoint like no other drawing program. You can use it to form, manage and present visuals faster and better. Sometimes, you may need to do presentation without Edraw. Don't worry. Edraw is perfectly integrated with MS programs. 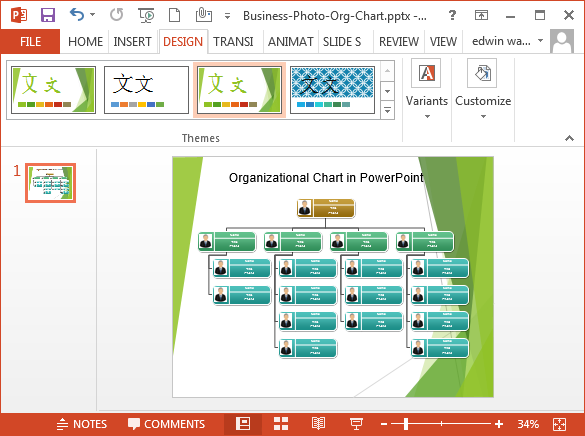 Therefore, you can still use Edraw and have PowerPoint Slides for presentation. 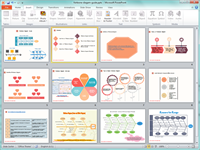 Actually, it can be used as a PowerPoint alternative especially when you need to design pictorial infographics. 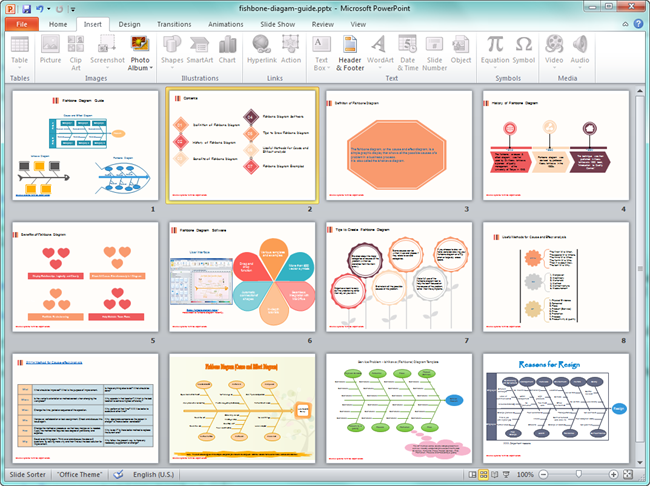 After creating your diagrams, you can export it to PowerPoint format. 1 Edraw slide is equal to 1 PowerPoint slide. Click File -> Choose Export & Send -> Select Office -> Hit PowerPoint -> Locate the saving place -> Press Ok.
After exported, a dialogue box will pop up. You can choose to open PowerPoint or not. 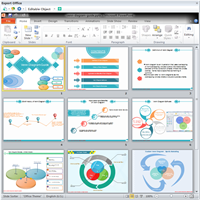 Modify PowerPoint Slides without leaving Edraw program. 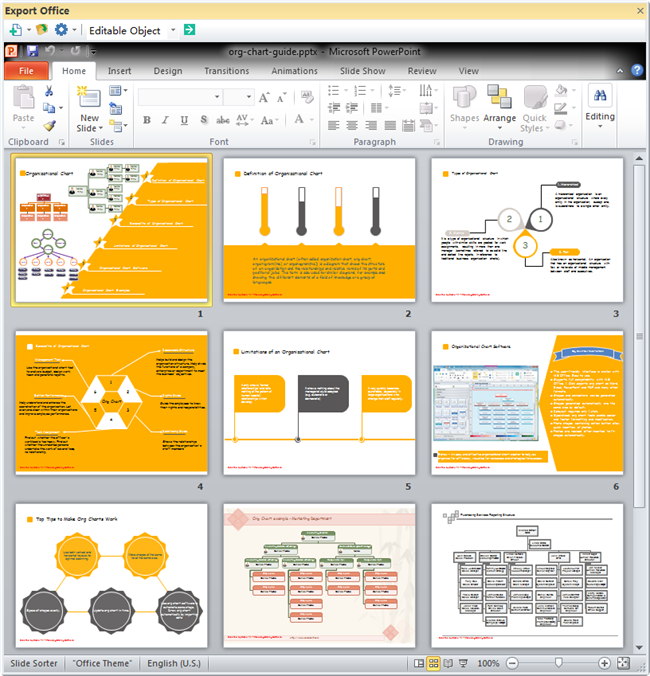 If you select to open the PowerPoint slides, you can view the exported results right in the program. In addition, the exported slides are editable. You can change the shape size by dragging. Click the text to modify it. 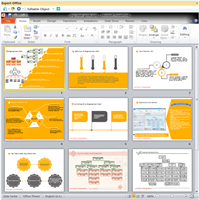 All functions of PowerPoint apply to these slides thanks to Edraw's perfect compatibility with PowerPoint. Click on the thumbnail pictures to see large versions or download these examples for your reference. 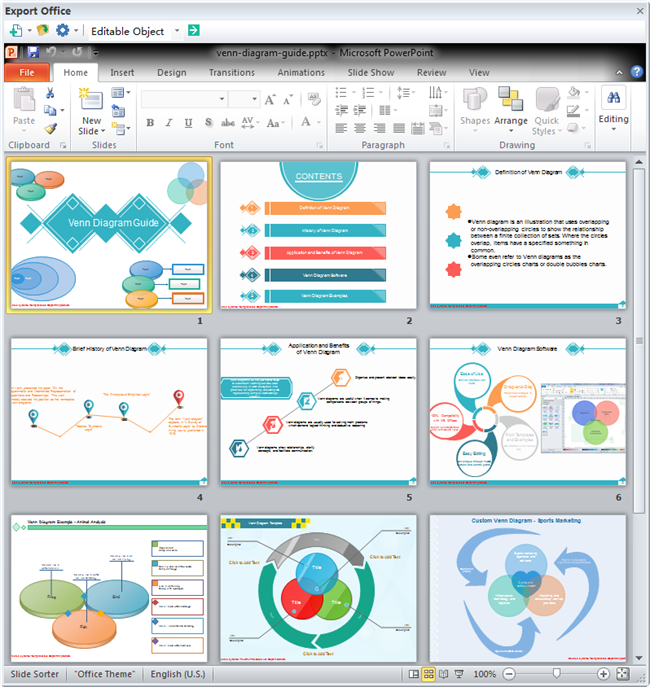 With over 8500 symbols and various diagram templates, you will be able to easily create marvelous presentations to wow your audience.